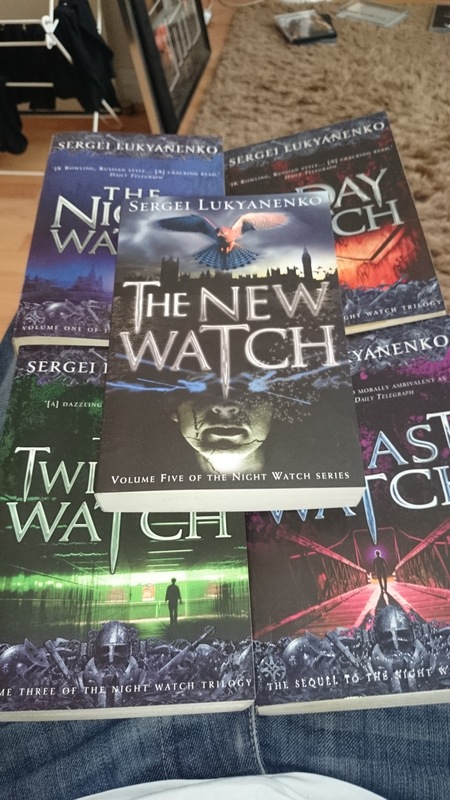 So, this is my final post on Sergei Lukyanenko’s The Night Watch series – well, unless there’s another book in the future. Rather than focus on the books themselves, as I have done in the last three in this series, I wanted to do something different. This isn’t about the films either, I’m not a fa of them and that’s not what I focus on here. Instead, I want to be a little more creative since that’s what I’m good at and you guys seem to like it. Don’t worry; it’s not fan-fic. I just want to put myself in that world and figure out what it’d be like to be a part of it. Most of us have imagined this at some point with our favourite films, books and games, so let’s see how this goes. So, what is an Other? Simply put, they’re human beings who are able to enter the Twilight, a word made up of different levels. The magical temperature of Others is lower than a normal human, who gives off the energy consumed by the Twilight and this means they can absorb it and use it in the form of their abilities and spells. There are more technical explanations and terms, but that’s the gist of it. Vampires and werewolves also exist but they operate under somewhat different rules. Others take on various forms, including magicians, shapeshifters, healers, witches, enchantresses, prophets, clairvoyants and many more, with male and female variants existing. Witches tend to be dark while enchantresses light and there are other rules. A Light Other will disappear into the Twilight if they do things befitting a Dark One and vice versa so there is always a risk to being an Other. This closest example to this we see is in The Day Watch with Igor and Alisa. We don’t know how people fade into the Twilight but Alisa dies by Igor’s hand. While he is eventually found innocent, he still fades into the Twilight by his own choice. Whether this is always the case or if there are more forceful events that could make this happen is unclear. Would I belong to the Light or Dark? I’d like to think of myself as a decent guy, I help people when they need it and I’ve done plenty of things that I’d say, on first glance, would make me a Light Other. However, after reading these books I have to question whether I could ever live that kind of life – especially for hundreds of years. The Dark Others are not necessarily evil. Some are, most definitely. There are plenty of them who are just going about their business and daily lives, enjoying the benefits of being an Other and having things work to their advantage – who wouldn’t want that kind of edge? I know that I would. The big difference I’ve seen is that Dark Others put themselves first and Light Others put other people first. This is not arbitrary for every situation however and the more I think about it, the more I think that while helping people is important, especially those I care about, I can’t do anything if I’m in no position to help them in the first place. There’s always the Inquisition, which basically keeps the balance and peace between the two sides. That’s an option and while there’s an appeal, it would take some time for me to reach that point. Even then, those in the Inquisition are still Light and Dark, they just see things differently. Being objective about it, I’m pretty sure I’d be a Dark Other. Not an evil one (hopefully), but most likely a Dark One. Interesting. Could I be involved in the Watch? This is another question altogether. At first, I’d have honestly said yes. I can keep the balance between the two sides, increase my power and have a productive life. The more I read, the more jaded I got – in terms of what the Watches represent. It’s a constant balancing act but neither side can win, wants to win or ever will win. It becomes pointless, just for show and people still die as a result. The schemers like Gesar and Zabulon are playing a game but with real Others and humans. I felt like Anton was beginning to get fed up of it by the end of The New Watch too and I think it takes a certain kind of person, Dark or Light, to be able to take part in that for such a long time. Maybe, at first, I could be a part of it. Regardless of how strong I became, I think even I would lose interest in such a battle. Then, the idea of doing something productive in the Watch would fade away. I could go into much more detail but I think I’ve covered enough. It’s one thing to imagine what it would be like and quite another to write myself into someone else’s story. Interesting to think about and I’d love to know your thoughts on this so please get in touch!